I met Janet Alder, Christopher’s sister, several times through a shared activist circle in 2002/3. Whilst she will not remember me, I certainly remember her. Janet was(is) an inspirational figure, who had dedicated her time to fighting for justice for her brother, and for others who had died in police custody. A powerful woman who confronted prejudice wherever she found it, Janet certainly left an indelible mark on me and my politics. The following description of events around Christopher’s death and the numerous scandals that followed are taken from a Wikipedia entry. Whilst I would not normally use Wikipedia for this purpose to my knowledge it is a comprehensive and accurate description of events. Related video clips are at the bottom of the page. At around 7 pm on 31 March 1998 Alder went out for the evening in Hull with two friends, visiting several local bars and a McDonald's fast food restaurant before Alder suggested going on to a nightclub, The Waterfront Club (later renamed The Sugar Mill) on Prince's Dock Street in the Old Town area of the city. His companions, who later testified that at this stage of the evening Alder had only drunk two pints of lager and two bottles of Beck's beer and "seemed sober", declined the invitation and Alder went on to the club alone at around 10.30 pm. While there he drank a further two or three pints of lager. At approximately 1.30 am Alder became involved in a disagreement with another customer, Jason Ramm, which led to Ramm being ejected from the club. Ramm waited in the vicinity of Prince's Dock Street until Alder left the club at 2.15 am and another confrontation occurred which was captured on the club's exterior CCTV. A third person, Jason Paul, attempted to break up the fight and was struck by Alder. Paul retaliated by punching Alder in the face, which caused him to fall backwards, strike his head on the pavement and lose consciousness. Staff at the nightclub telephoned the emergency services and an ambulance took Alder - who had by this time regained consciousness - to the Hull Royal Infirmary. Medical staff attempted to take an x-ray of Alder's head injury but he would not remain still and they abandoned the attempt. PC Dawson wrote in his note book at this time that Alder was "heavily in drink" and "typical of people I've seen in the past on amphetamine." Staff eventually decided that they could not administer further treatment to Alder without his cooperation, and the police officers asked if he was well enough to be detained in police custody. The attending doctor agreed that he was. A subsequent (2005) Healthcare Commission report into the medical treatment Alder received described this decision as "flawed. The doctor had yet to make a diagnosis. He was unable to carry out his plan of treatment for Christopher Alder, for example to admit him for observation, x-ray his skull and refer him to a maxillo-facial surgeon. Despite this he decided to discharge him without seeking advice from a senior colleague." This may also have contributed to the police officers' assumption that Alder's condition was not serious. On arrival at the police station following a journey of approximately six minutes, the van doors were opened and the police described Alder being found "asleep" and "snoring." He was dragged from the van and into the custody suite at 3.46 am by PCs Dawson and Blakey, "unresponsive" and with his hands handcuffed behind his back, his legs and feet dragging along the floor and his face just above the ground. His trousers and underpants had been pulled down to his knees, possibly by dragging on the floor surface, and one of his shoes had come off. He had lost control of both bladder and bowels. A/PS Ellerington followed them in. Two police officers, Police Sergeant (PS) John Dunn and PC Matthew Barr, were already present on duty in the custody suite. Dunn was the custody officer and Barr was the cell warder. Dawson and Blakey left Alder lying face down on the floor, where the CCTV showed a pool of blood forming around his mouth. One of the officers commented on the blood, but no attempt was made to examine Alder. PS Dunn was heard on the CCTV footage to indicate that Alder should be taken to the hospital, to which Dawson and Blakey reply that they had just come from there and that they believe Alder is feigning unconsciousness. Dawson said: "This is acting now" and "This is just an acting thing" while Blakey said: "He's right as rain... This is a show; this" and "He kept doing dying swan acts falling off the [hospital] trolley." A/PS Ellerington also stated later that he believed Alder was "feigning deep sleep." PS Dunn stated that he: "formed the opinion, from what I was told, that the man's behaviour at the present time may be play-acting or attention seeking." After a few minutes the handcuffs were removed although Alder's arms remained unmoving behind his back, and no attempt was made to examine or rouse him. The officers then moved to the opposite side of the counter while a discussion took place about what offences he should be charged with and whether there was any possible justification for holding him, as any breach of peace had clearly passed. Alder could be heard making "gurgling" noises as he breathed in and out through the pool of blood around his face. PS Dunn later explained that although he was aware of the gurgling he ignored it, believing Alder was deliberately blowing through the blood to "try and upset" the officers. PC Barr stated later that he had believed the noises "were intended for our attention, in other words he was putting it on, which fitted neatly into what we had been told by PC Dawson." The audio track of the CCTV footage appears to show that the officers made monkey noises, a common form of racist abuse against black people. At 3.57 am PC Barr pointed out that Alder was not making any noise and PS Dunn walked around the counter to check him. Resuscitation attempts then began and an ambulance was called for at 3.59 am, arriving at 4.04 am and operated by the same crew which had earlier transported Alder from The Waterfront Club to the Hull Royal Infirmary. Although the crew had been informed that the casualty had "breathing difficulty" the only equipment that they took into the custody suite was a bag valve mask. The paramedic admitted later that when they had received the call out he had told his colleague "that it would probably be someone trying to pull a sickie [i.e. feigning illness] to get out of appearing in court in the morning." He had to return to the ambulance outside to collect the necessary equipment, not returning until a further minute had elapsed. The ambulance technician who first examined Alder reported him as having fixed, dilated pupils, no pulse and not breathing. They eventually ceased CPR at 4.35 am. Alder's clothes were subsequently destroyed by a West Yorkshire Police team investigating the death and never subjected to forensic examination. At an inquest held in 2000, the jury returned a verdict of unlawful killing The five police officers who were present in the custody suite at the time were called to give evidence at the inquest, but on more than 150 occasions during the hearing refused to answer questions, citing Coroners Rules that the response could provide self-incriminating evidence. They were subsequently charged with misconduct in public office Shortly after the verdict was returned the officers, backed by the Police Federation, sought to overturn it by means of a judicial review. They claimed that the coroner should not have given a verdict of unlawful killing as an option to the jury as the breaches of duty alleged against them could not amount to gross negligence. They also alleged that a female juror had been "infatuated" with the prosecuting barrister and that there was a "real possibility that her infatuation converted into bias." The application for the judicial review was dismissed by the High Court of Justice in April 2001. The Crown Prosecution Service initially decided that there was insufficient evidence to pursue criminal charges against the officers, but following a review of the medical evidence the officers were charged in March 2002 with Alder's manslaughter. In June 2002, the trial collapsed when the judge ordered the jury to find the officers not guilty on all charges. Following the acquittal, an internal police disciplinary inquiry cleared the officers of any wrongdoing. In July 2003 the Attorney General Lord Goldsmith challenged the legal correctness of the officers' acquittals and sent the ruling to the Court of Appeal "to clarify the threshold for evidence in future death-in-custody cases," although this would not affect the acquittal because of the principle of "double jeopardy" which applied at that time. 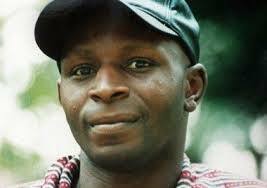 In April 2004, BBC television series Rough Justice broadcast "Death on Camera", a programme examining the circumstances of Alder's death, including the CCTV footage from the custody suite which had previously not been seen by the public. As a result of the programme and the public concern it raised, Home Secretary David Blunkett asked the Independent Police Complaints Commission (IPCC) to review the case. In December 2004 four of the five police officers were granted early retirement on stress-related medical grounds and received lump-sum compensation payments of between £44,000 and £66,000 as well as pensions. The officers all declined requests to take part in the IPCC inquiry. In March 2006 the IPCC chairman, Nick Hardwick, said the officers present when Alder died were guilty of the "most serious neglect of duty" amounting to "unwitting racism." In September 2006 Leon Wilson, one of Alder's sons, went to the High Court to challenge the Home Office's refusal to reopen the case. The judge rejected his case, saying it was "legally reasonable for the Secretary of State to believe that no more worthwhile evidence was likely to emerge." In January 2006, a civil jury also found that a man had been unlawfully arrested and charged with Alder's assault on the night he died "to divert attention away from the part the police themselves played in Mr Alder's death." In November 2011 Alder's body was discovered in the mortuary at Hull Royal Infirmary, eleven years after his family believed they had buried him. An exhumation of his grave in Hull's Northern Cemetery during the night of 21 February 2012 found that Grace Kamara, a 77 year old woman, had been buried in his place. South Yorkshire Police Detective Superintendent Richard Fewkes announced that a criminal investigation had begun to determine if an offence of misconduct in public office has been committed"
The description of events and the film clips at the bottom of the page speak volumes about the death of Christopher Alder, and require no further comment. The Duggan verdict has been labelled as ‘baffling’ and ‘incredulous’ by commentators in the media. For me, neither description is remotely accurate. ‘Obvious’ would have been my conclusion. Over the last four decades there have been thousands of people who have died during or following contact with the police – either in custody or on the street – and when has a police officer been held to account, when has so-called justice ever been done? A verdict of ‘unlawful killing’ for Mark Duggan would have been the first of many stages for his family in their pursuit of truth and justice, however, the case of Christopher Alder shows that an initial ‘unlawful killing’ verdict can be overturned with relative ease. Should an ‘unlawful killing’ verdict have been returned for the officer who shot Mark Duggan, then there would be a role reversal, with Metropolitan police vowing to fight on, rather than the Duggan family. The criminal justice system is only interested in winners and losers, it has little or no concern for right, wrong, truth, or justice. Whilst there will always be exceptions to the rule, if you are rich, famous, white and well connected, you will always get ‘justice’ at the expense of everyone else. Moreover, in cases of the state or its armed-wing being accused of deaths or cover-ups, then there is one guiding principle …. The house always wins. Moreover, in cases of the state or its armed-wing being accused of deaths or cover-ups, then there is one guiding principle …. The house always wins.